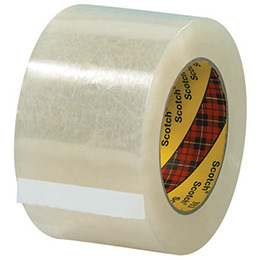 Scotch® Box Sealing Tape 313 closes a wide variety of medium weight box materials securely, including recycled liner paper and fiberboard. The backing of this value performance tape is crafted from polypropylene making it easy to handle and conformable around edges and on rough surfaces for a tight seal. The tape withstands cold temperatures and works well on boxes weighing up to 70 lbs.